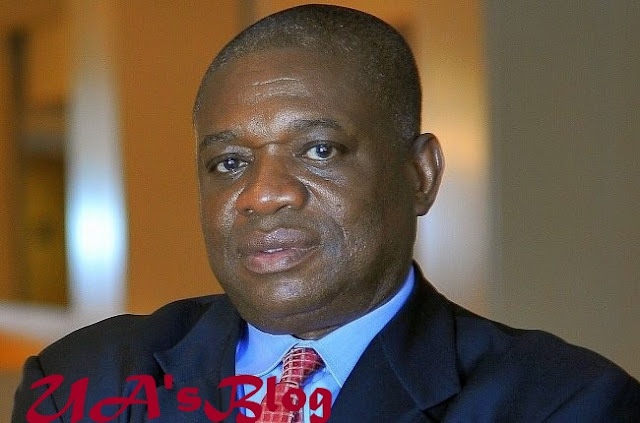 Former Abia governor, Dr Orji Kalu, has commended President Muhammadu Buhari for ignoring President Donald Trump of the United States of America, over his comment that he is a lifeless president. The former governor, who is also a chieftain of the All Progressives Congress, urged the US President to sustain the age-long relationship between Nigeria and the United States of America. Kalu, via a statement, signed by kunle Oyewumi, his special adviser, spoke in Washington DC, when he hosted African students of National War College. Kalu in the statement made available to the News Agency of Nigeria acknowledged the robust bilateral relations between Nigerian and the US in the areas of trade, security, politics and other interventions. He said: “The recent statement credited to President Donald Trump of the United States of America, describing Nigeria’s President Muhammadu Buhari as a lifeless President, should be disregarded. Agbaje said: “As our tradition every year we are glad to be with you, to exchange ideas and learn from your wisdom and experience.